The Black Diamond Mojo Zip Chalk Bag is your standard chalk bag but with a handy twist: a bonus zip on the outside to keep your keys, change, or any other essentials close by whilst you're indoor or out on the crag. 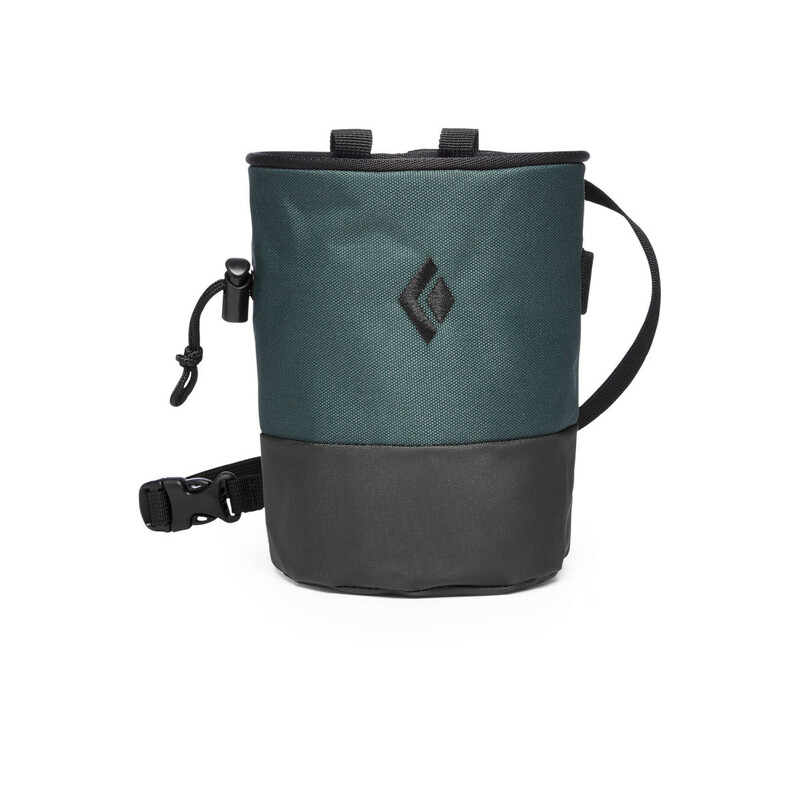 The Black Diamond Mojo Zip Chalk Bag Other features a waist-belt, wire rim for easy access to your chalk, a drawstring closure, and a TPU-lined base for a little extra weather protection. Close relative of Black Diamond’s ever popular Mojo Chalk Bag. To keep essentials always nearby whilst climbing. You wouldn't forget your chalk, so you won't forget your keys!